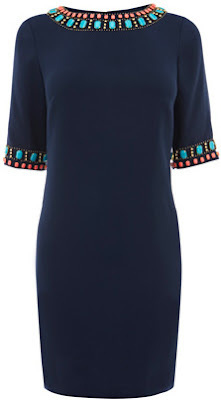 * This dress has a resort-y feel (kind of vibing Phillip Lim/Tory Burch) and would look amazing worn casually with flat leather Capri-like sandals, too. I love this dress. Good find.